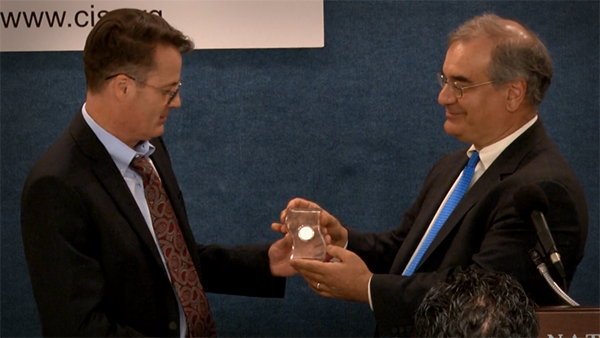 Washington, D.C. (June 1, 2015) – Neil Munro, formerly with The Daily Caller, is the 2015 recipient of the Eugene Katz Award for Excellence in the Coverage of Immigration. The award, presented annually by the Center for Immigration Studies, highlights good reporting on a topic where herd thinking and unquestioned assumptions are the norm. As the White House correspondent at the Daily Caller, Munro has explored the immigration’s impact on less-skilled workers and on white-collar tech workers, the impacts on communities saddled with Central American illegal aliens waved across the border by the present administration, and the impact on individual families whose immigration paperwork is held up as amnesty applicants are given priority and moved to the front of the line. He has also chronicled the growth of a pro-worker message on immigration within elements of the Republican Party. This award was inaugurated in 1997 to highlight good reporting in a field where so much of the coverage is marred by more than the usual degree of bias. It is named in memory of Eugene Katz, a native New Yorker who, after attending Dartmouth and Oxford, started his career as a reporter for the Daily Oklahoman. In 1928, he joined the family business, working as an advertising salesman for the Katz Agency, and in 1952 became president of Katz Communications, a half-billion-dollar firm which not only dealt in radio and television advertising but also owned and managed a number of radio stations. Mr. Katz was a member of the Center for Immigration Studies board until shortly after his 90th birthday in 1997. He passed away in 2000.